I’m thrilled to have Alia from Read it Real Good here to share picture book gems she recommends as a librarian, former bookseller, and blogger! 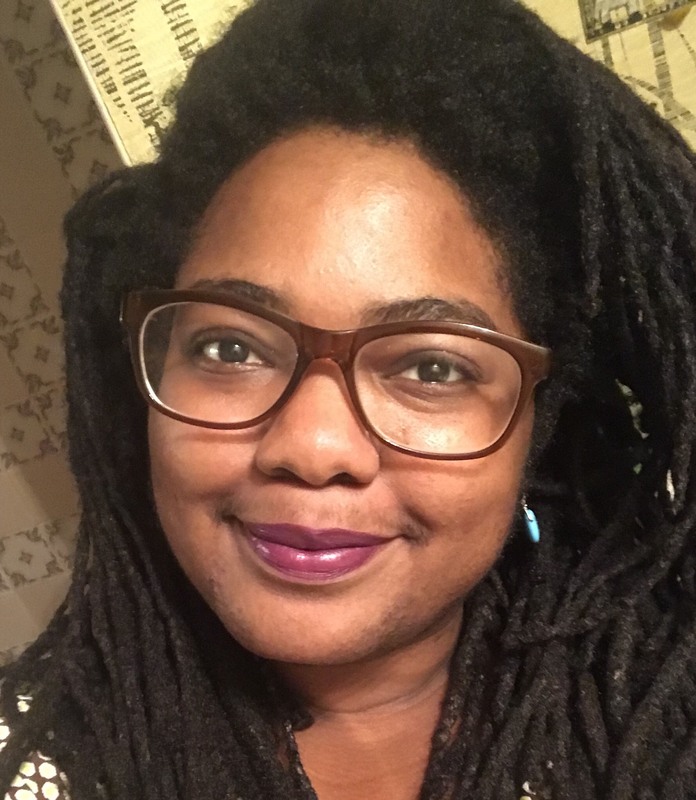 You can learn more about her here and check out her list of resources on diverse children’s literature from her blog as well. Get ready to go to the bookstore or have your library card ready because she’s sharing some of her favorite recent and backlist picture books with us! This illustrated poem begins with “This book is for you.” And yes it is. It is unabashedly black, young and full of truth and positive affirmations for young black women. Perfect for ages 7 – tween, Black Girl Magic is raw and honest. Snow’s illustrations beautifully accompany Browne’s powerful poetry. Yes, black girls, you are magic. You are strong and let NO ONE tell you any different. It’s hard to believe that this is Julie Kim’s debut picture book. Well, it’s more of a picture book/graphic novel hybrid. Korean-American kids Joon and his Noona (big sister) visit their grandmother’s house to find that she’s gone, the house is a mess and huge cat-prints are everywhere! >_< Kim takes readers on a journey to a land of trickster rabbits, hungry goblins and angry tigers. Ten year old Furqan takes a trip to the barbershop for his first cut. He wants to try a new flat top for his thick, curly hair, but he’s a little scared of change. His dad lovingly reassures him that his hair is gonna come out fresh, no matter what. We get a peek into Furqan’s daily life. This bilingual story features loving parents and a supportive community. Liu-Trujillo’s watercolor & ink illustrations portray so much joy and love. I love picture books that use non-traditional mediums like paper, cloth, string, etc. Barron’s illustrations for Up! are gorgeous and unique. They invite you to stare at them for long moments. We learn a bit about how different people around the world carry & transport their little ones. I love the inclusiveness of the illustrations and the bouncy rhythm of the text. It’s special whenever our elders share knowledge with us; it’s something not to be taken for granted. All Around Us is about a little girl and the lessons she learns from her grandfather. They have such a beautiful relationship! He teaches her about circles, continuity and how people are a part of the earth. The illustrations are so beautifully TRIPPY. I appreciate how this book celebrates family, indigeneity and tradition. Black brotherly love. Strength. Growing up. This quiet picture book explores the relationship between two brothers and how love, support and encouragement are so important. Climbing up and jumping off the top of a cliff into a lake sure is scary but…you’ll never know how much fun it is until you try. I love the soft illustrations in this book and the scenes of transformation. This is a reflective and thought-provoking picture book about death, loss, or the simple act of someone/something being gone. When I was a bookseller, it was hard to find good books to give to parents to help their kids grieve. This is a great one because it helps begin a discussion about CHANGE. Matoso’s illustrations are bold and colorful and Martins is such a thoughtful writer. A young girl and her father take a walk through their neighborhood. Though he’s on his phone for most of the journey, he is present. He is there. She’s on a mission to find flowers and share them as gifts. Smith’s use of color is exquisite in this wordless picture book. We see color when we need to. We watch it bloom. We watch their love as they walk together. Alia Jones is a Sr. Library Services Assistant with The Public Library of Cincinnati and Hamilton County. She is also a former indie children’s bookseller and English teacher in South Korea. She blogs about diverse books & children’s literature at www.readitrealgood.com. You can also follow her on Twitter @readitrealgood. Alia believes that we are truly in a Picture Book Renaissance; there is so much talent out there. Copyright 2013 This Picture Book Life. All Rights Reserved.